TW29RN SATORI Tweeter, Neodymium Dual Compression chamber motor, decoupled face plate, cu caps, superb flat response. 103.8mm diameter faceplate, long life silver lead wires. Low Resonance Frequency for extended range. 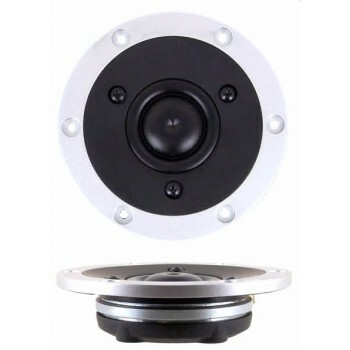 TW29RN SATORI Tweeter by SB ACOUSTICS, renowned for an extended level response and superb off-axis characteristics. 103.8mm diameter faceplate, long life silver lead wires. Low Resonance Frequency for extended range.